It’s sharper, sportier, smarter and far more advanced. It’s confident and poised and awaiting new owners looking for up-to-date technology enhancements in a midsize sedan. It offers the roominess for families and the edge needed to maintain visceral driving experiences behind the wheel. Introduced during the media days at the 2018 New York International Auto Show Nissan refused to rest on their laurels when it came to reinventing the latest generation Altima. It’s not only important for your vehicle to shine in the popular CUV category, but it is an essential necessity for sales success and market share in the competitive field. Some manufacturers address their forte with performance and engineering, others focus on luxury or technology, and the rest may lean towards fuel economy. 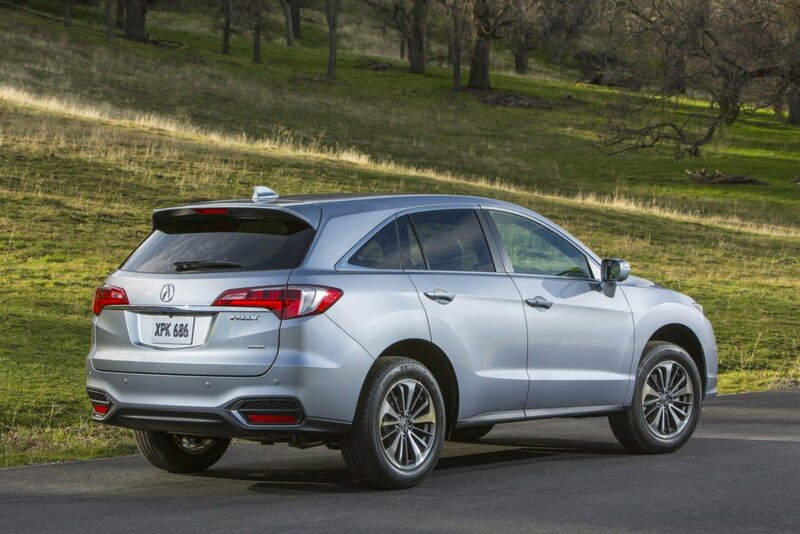 Well, the 2016 Acura RDX AWD ADV hits on all points with opulence and functionality as the defining traits to grab your attention. Outwardly, the compact RDX embodies the prototypical Acura mantra with its modest, but curvilinear and scalpel cut silhouette which covertly conceals a gutsy 3.5-liter SOHC 24-Valve i-VTEC VCM II V6 engine. Mated to a 6-speed automatic transmission with Sequential SportShift and a nimble rack-and-pinion steering system, the Japanese utility pushes out 279-horsepower and 253 lb-ft of torque. Moreover, the AWD with Intelligent Control (rear wheel bias) not only to the RDX’s dynamics, but of course, increases road safety and decreases road challenges such as traversing through camp grounds. This combination of vigor, handling and control, enables drivers to slice through highway and city traffic with the precision of the most skilled surgeon, provided your very own driving aptitude is up to par. Appealing to that inner Formula One driver, you will find well-placed paddle-shifters mounted directly on the thick, multi-function steering wheel should the desire to cloak your daily commute as the picturesque Monaco Grand Prix cityscape present itself. 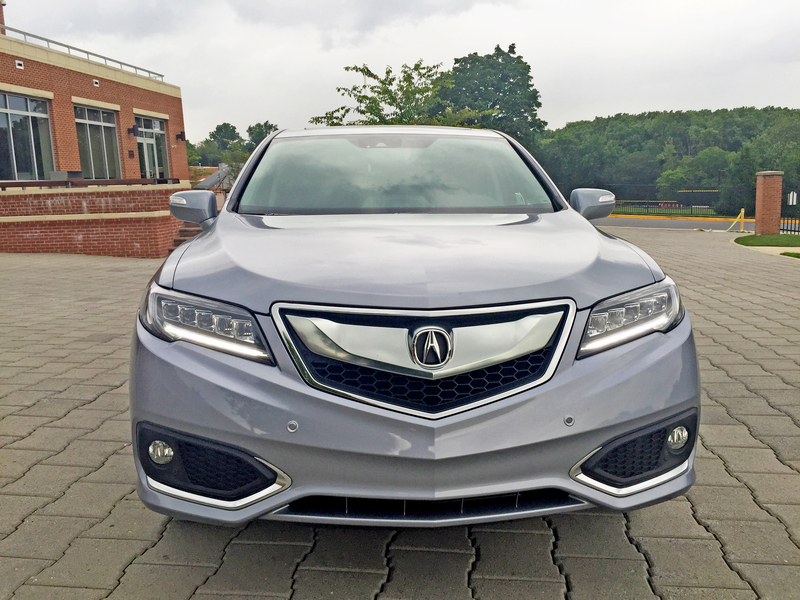 In fact, the front fascia of the RDX with Acura’s Jewel Eye LED headlights is almost as prolific of that on their upcoming NSX. Brand identity is always a positive trait for true family values. Moving inside, the RDX welcomes you to a very spacious and luxurious cabin for its price point starting at $35,270. Our Slate Silver and Graystone model — highlighted by the Tech Package, Advance Package, and AcuraWatch Plus Package — weighed in at $43,420 excluding the $920 destination and handling fee. Both the driver and front passenger have more than ample room to enjoy extended road trips or running errands around town when frequent parking and jumping in and out is less than an ideal experience (particularly with full-size SUVs.) A fan favorite is Variable Cylinder Management (VCM) which shuts down three cylinders when additional power is not required. In particular, it’s the second row seating and rear storage area where the RDX shined ever so brightly. With three kids ranging from 7 to 13-years-old, it is challenging (from a weekly test-drive perspective) finding vehicles compact enough for ergonomic, daily use while offering the capacity required for shuffling young athletes and sports gear (comfortably) from soccer to football, baseball, karate and gymnastics. Before I could even ask for their opinion, they all enthusiastically cheered out “we have a lot of space back here dad”! 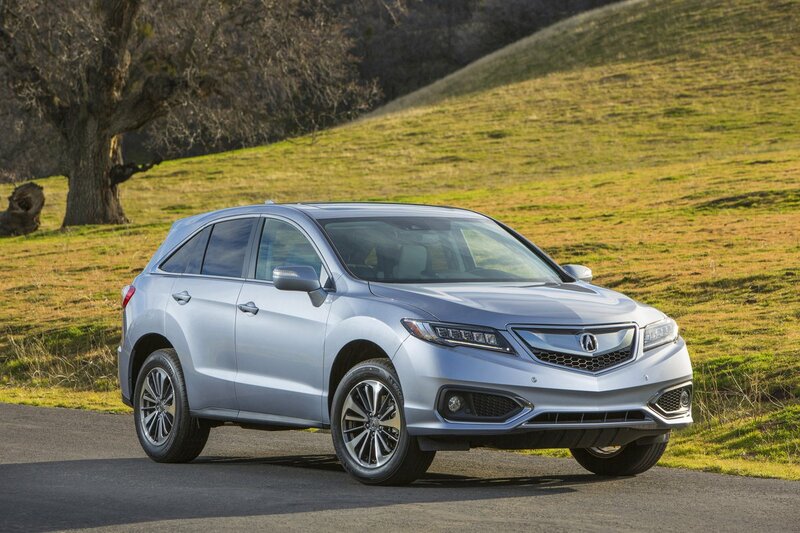 Safety features are abundant in the 2016 RDX as part of AcuraWatch and comprise the very noteworthy Lane Departure Warning, Lane Keeping Assist, Collision Mitigation Braking, Adaptive Cruise Control, and Forward Collision Warning. Also include dual-stage airbags for both the driver and passenger, side curtain airbags with rollover sensors, and side impact door beams. One area of disappointment however involves the 8” On-Demand Multi-Information touchscreen display housing the audio, navigation and climate controls. Acura touts this system as intuitive but it is more frustrating than anything; especially with the redundant dual screens that confuses at best. There are too many buttons, controls and menus to actuate simple tasks. Case in point, when changing radio stations the interface is displayed in a portrait/top-down window format. Once your station of choice is selected you must then press down to actually engage that station. The interface then changes to a typical horizontal left-right window format. When you’re ready for a change you’re then back to a vertical interface with a noticeable degree of lag-time between the rotary dial and the user window. Yes, you have the ability to preset stations which would of course remedy this scenario, but why overcomplicate such a simple task? To help address potential end-user error, I solicited the help of my technological savvy 13-year-old son who also ended with the same result when tasked with maneuvering through the system and controlling the climate. Granted this is something an owner would eventually become accustomed with, but intuitive it is not. BMW’s iDrive and Audi’s MMI are our top multi-media choices. The latest RDX is not only fun to drive, it excites with rousing behaviors thanks to car-like handling and performance appealing to both families and young couples. Combine this formula with the added convenience of a commodious interior and be prepared to stitch your way around town in style.